Looking for an easy way to label your latest creation? 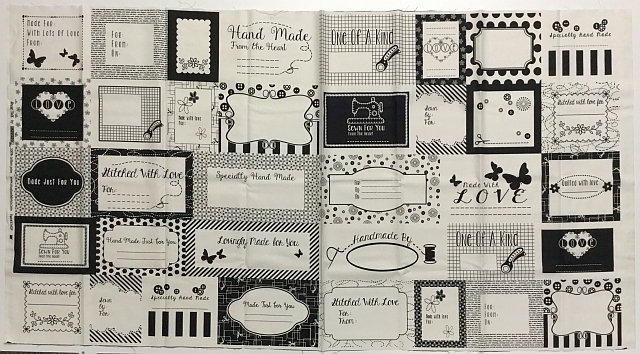 This panel contains many label designs which you can simply cut out and use to identify your quilt! Pre-cut panels are available in-store or on our website for $6.50 each plus shipping. To visit the product page on our website, clickHERE. 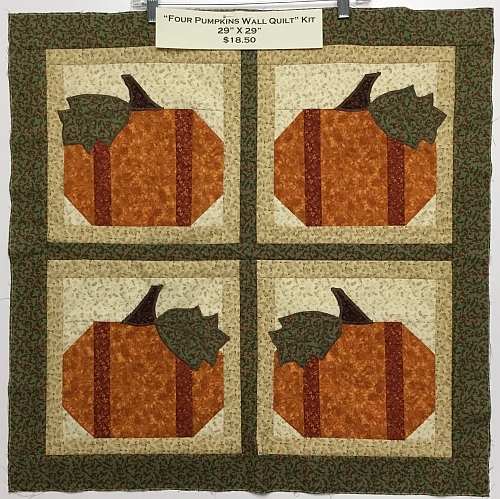 This kit is for a beautiful Fall hanging which measures 29" X 29". Kits are available in-store or on our website for $18.50 plus shipping. To view the product page on our website, click the picture above or click HERE. To register for a class, you may either do so online or by calling the shop. If you have any questions, please give us a call at (610)900-4700. Create this easy cathedral window using 5" squares. No bias cutting! Our example shown below uses our beautiful new Coonawarra Red collection! To visit the Class page on our website, click on the picture above or clickHERE. Crow Sew - The next scheduled meeting at the Crow will be onWednesday, July 5th at 10am. Block of the Month - The next instruction session at the Crow will be onTuesday, July 18th, from 10:30am - 11:30am. Sewcial Guild - The next scheduled meeting will be on Thursday, July 27th at 11am. The guild meets in the upper floor Gallery of the Palmerton Library, across the street from the Shop. Elevator access to the upper floor is available. 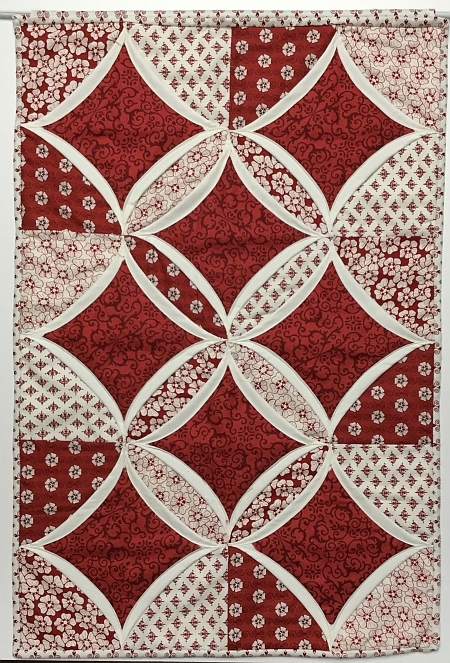 Quilts of Valor - QoV is on hiatus for the summer, the next scheduled meeting will be on Saturday, September, 23rd. The Quilted Crow is proud to sponsor the 2017 Quilt Block Contest. This years's theme is "Country Scenes...Blue Ribbon Dreams." Premium Books are available now in the shop which contain the required entry form. For more information about this event, including submission rules and prize list, click HERE to download a .PDF file of the event page from the Premium Book. You can also download the General Entry Form for printing by clickingHERE. The deadline for your submissions is July 22nd. Good luck! Update: The 4-H groups are meeting at the Crow and are busy making their quilt entries for the fair. Hope you can attend the fair to support them and vote on their beautiful creations!